North Carolina is fast becoming the new Florida when it comes to retirees looking for retirement homes. Ocean Isle Beach Real Estate is being bought up by northerners moving south once they “come of age” to kick back and enjoy their just rewards. Florida had traditionally been the state of choice for retirees due to its beautiful weather and excellent retirement communities but the same can be said of Coastal North Carolina. Many people have realized it’s just too darn hot in Florida and in the Carolina’s it’s more manageable. Plus with the increased number of hurricanes and tropical storms happening lately, many retirees that moved to Florida are now relocating safely back to North Carolina. The high insurance costs just to protect their homes from hurricanes, plus the high property tax is making Florida a much more expensive state for retired people on a budget to be able to afford. North Carolina may still get hit with hurricanes, but not nearly as often as Florida. Coastal North Carolina is also more likely to be hit by a tropical storm than a hurricane if it makes its way that far north because the power of the storm is usually weakened by the time it reaches the coast. 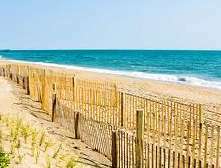 Consider also that your dollar goes much farther when buying Ocean Isle Beach Real Estate in North Carolina compared to Florida. Both property and home insurance are very affordable here. This is yet another reason why so many who may be on a fixed income are choosing to retire there. North Carolina is a beautiful state with many great places to move to for retirement. The Brunswick Islands are a very popular spot and there’s some beautiful Ocean Isle Beach Real Estate available here. These islands offer nearly 50 miles of sandy beach front with many fishing villages. You’ll also find some world class championship golf courses. North Carolina offers affordable property, great weather and plenty of activities for every taste. With baby boomers reaching retirement age, we may be seeing a larger wave of retirees moving this way. It’s easy to see why so many people are shifting to North Carolina for their retirement plans.